Annual enrollment at the University Park campus totals more than 46,800 graduate and undergraduate students, making it one of the largest universities in the United States. It has the world's largest dues-paying alumni association. The university's total enrollment in 2015-16 was approximately 97,500 across its 24 campuses and online through its World Campus. The university offers more than 160 majors among all its campuses and administers $3.45 billion (as of June 30, 2014) in endowment and similar funds. The university's research expenditures totaled $813 million during the 2014 fiscal year. The school was founded as a degree-granting institution on February 22, 1855, by act P.L. 46, No. 50 of the General Assembly of the Commonwealth of Pennsylvania as the Farmers' High School of Pennsylvania. Centre County, Pennsylvania, became the home of the new school when James Irvin of Bellefonte, Pennsylvania, donated 200 acres (0.8 km2) of land - the first of 10,101 acres (41 km2) the school would eventually acquire. 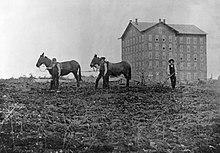 In 1862, the school's name was changed to the Agricultural College of Pennsylvania, and with the passage of the Morrill Land-Grant Acts, Pennsylvania selected the school in 1863 to be the state's sole land-grant college. 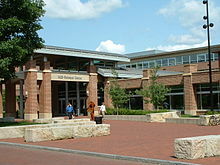 The school's name changed to the Pennsylvania State College in 1874; enrollment fell to 64 undergraduates the following year as the school tried to balance purely agricultural studies with a more classic education. What are the academic rankings for Pennsylvania State University? 1. number 53 for Academics. 2. number 84 for ROI (Return on Investment). 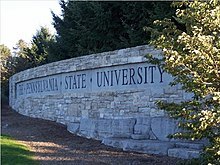 What universities are similar to Pennsylvania State University?